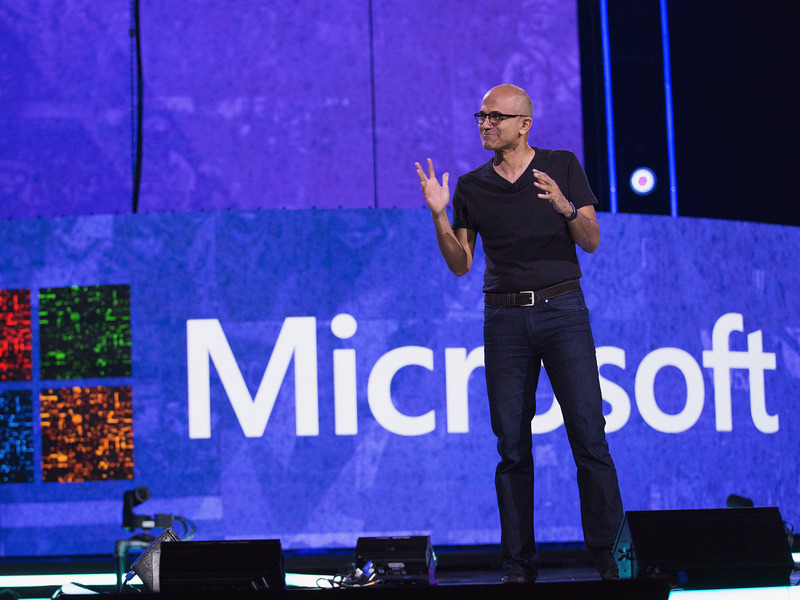 It’s certainly a big deal for Microsoft, a move that will better position it in the growing enterprise cloud software market. But it’s also a move that reaffirms a huge trend that’s sweeping through the tech industry: an M&A frenzy among software companies. As previously reported when Salesforce bought Demandware for $2.8 billion just two weeks ago, Wall Street is anticipating a wave of deal-making that will consolidate a number of smaller software makers with the big guns, like Microsoft, Oracle, and Salesforce, or private equity firms who hold massive amounts of money. There’s already been 5 software companies bought for at least hundreds of millions of dollars in the two weeks since the Salesforce-Demandware deal was announced, including Qlik and Blue Coat Systems who were bought for $3 billion and $4.65 billion, respectively. In fact, according to UBS analyst Brent Thill, the total deal volume in the first six months of this year has more than doubled to $50 billion, compared to the $24 billion from the first half of last year. 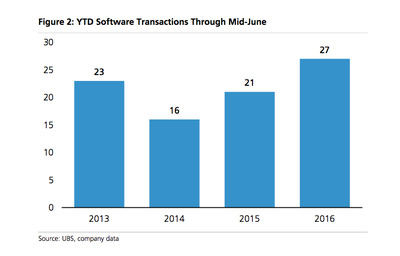 In the same period, the number of software transactions also increased from 21 to 27 in total. “Recent deal activity has shown meaningful acceleration across M&A metrics, and we expect the current pace of M&A to continue given the short list of high quality software assets in the market,” Thill wrote in a note. So why exactly is this happening? According to Wedbush Securities analyst Steve Koenig, it’s simply an “existential necessity” for big companies. A lot of big software makers have struggled to transition to the cloud software space, and it only makes sense to buy their way into growth by acquiring fast-growth software makers. Also, they can leverage their already huge salesforce to package different products together when selling to big enterprise customers. “Large strategic buyers can leverage their market footprint and sales organisations to create revenue synergies, assuming they can keep the acquired operations reasonably intact. Also, cloud acquisitions are a strategic imperative, if not an existential necessity, for large stack vendors with on-premise bases,” Koenig told us.